$130.00 for eight (8) weeks of instruction if registered byJanuary 15th. Price increases to $140.00 on January 16th. Session dates 1/25, 2/1, 2/8, 2/15, 2/22, 2/29, 3/7, 3/14. $215.00 for ten (10) weeks of instruction. Price includes May 7th IceStravaganza Ice Show fee and costume. 1) Refund and cancellation requests will be reviewed on an individual basis. However, please note that any request made BEFORE the late registration deadline of March 12th will be subject to a 10% processing and handling fee. 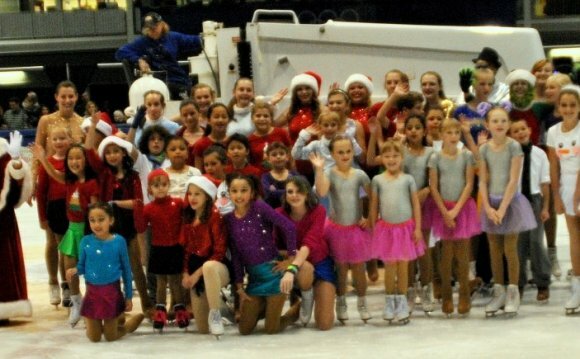 ICE SHOW COSTUME REGISTRATION FEES OF $65.00 WILL NOT BE REFUNDED AS COSTUME ORDERS WILL BE PROCESSED UPON REGISTRATION. Refund requests for this session made AFTER the late registration date, will be entitled to no more than the registration fee - 10% - $65.00. This amount may be applied to registration for your NEXT session of Jump Start, but will not be refunded. Refunds will not be given for inclement weather unless the SLCSC closes due to bad weather. Thanks for your understanding. By submitting this application, I acknowledge that my skater will attend all rehearsals and performances. I understand that my skater is an important member of their number(s) and an important member of the cast. The show is not complete without my skater. If I can’t get my skater to a rehearsal, I will notify jumpstart@saltlakefigureskating in advance of the scheduled rehearsal. I understand that multiple rehearsal absences may result in being dropped from the show. Please make sure to arrive by 6:00 pm each week so that you have plenty of time to tie and/or rent skates and get to the ice. We will start promptly at 6:15 pm. If your skater wears a helmet for other skating session, please make sure that you bring it to use at each Jump Start class. It is cold on the ice, so please make sure that your skater has the appropriate cold weather gear including gloves or mittens.